Prime Wardrobe is a new service that brings the fitting room to you, so you can try the latest styles and find your perfect fit before you buy. Using Prime Wardrobe, a benefit included in your Prime membership, you can order clothing, shoes, and accessories at no upfront charge. Take seven days to decide what you love and only pay for what you keep. Currently, over a million eligible items can be found across women's, men's, girls' and boys', baby clothing, shoes and accessories. With every Prime Wardrobe order, you have the chance to save money. If you decide to keep three or four items from your order, you will receive 10% off those items. If you keep five or more items, you will receive 20% off those items. Obviously, this policy is subject to change, but this is the policy according to Amazon currently. Prime Wardrobe shipments come in a resealable box with an included pre-paid label. You can drop off your return at the nearest UPS location, or request a free pick-up. 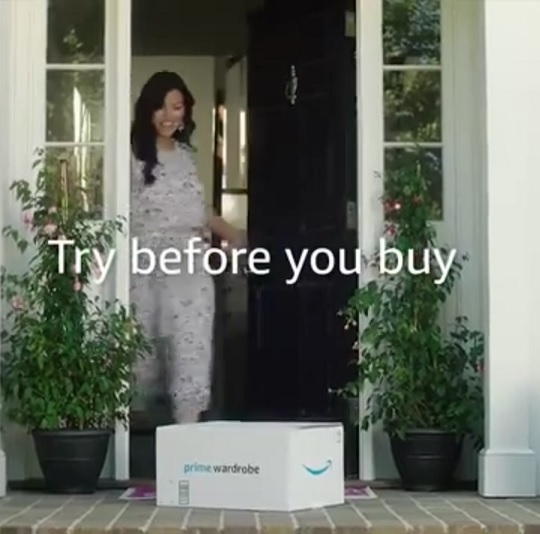 Learn more about Prime Wardrobe at the Amazon website.